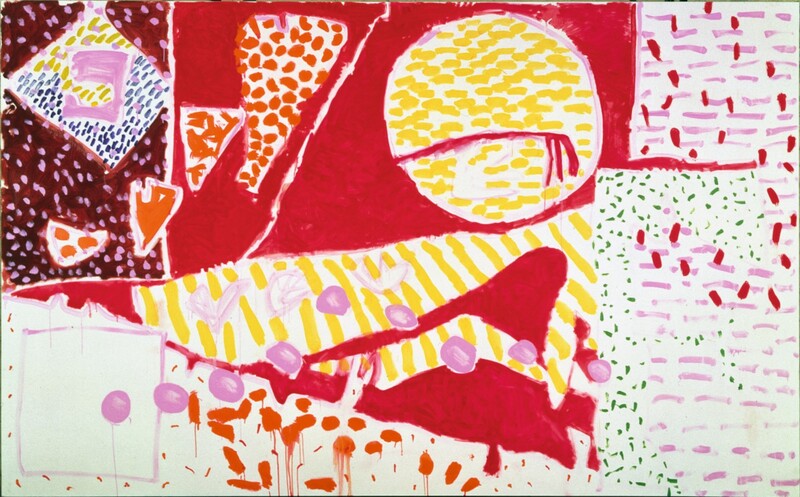 Geoff Hands reviews works by Patrick Heron at Tate St Ives, on view through September 30, 2018. Hands writes: "Heron’s work is often distinguished by its example of colour-shape dexterity and glorious visuality and a chronological display may not have accommodated or extended the potential impact of his achievements. The visual dynamism of the paintings, from all phases of Heron’s career, contextualised the display. All was equal, big or small, early, mid or late career. But it is mixed in a carefully curated way, as none of the sequencing looked arbitrary, but evincing a sense of purpose – if only to revitalise the viewing experience. There was a sense of freedom in allowing oneself to travel in any direction, including from one end of a wall to examine a row of works, or to diagonally cross a space under the magnetic pull of another canvas."